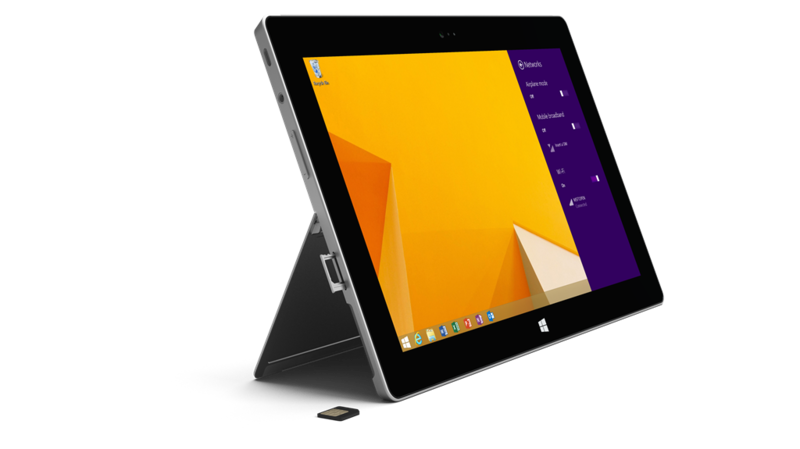 Microsoft today announced the Surface 2 with AT&T 4G LTE support, a 64GB version of the Surface 2 tablet that also features mobile broadband. The device is available now for $679; given that the Surface 2 without LTE retails for $549, you’re paying an extra $130 to ensure you’re (almost) always online. Curiously, Microsoft chose to announce the device after it already appeared in its retail stores and at Best Buy,last week on March 11. Nevertheless, all the details are now available, and we can see exactly what the company wants to share about its latest device. In addition to mobile broadband, the extra cost on top of the Surface 2 will also get you free Skype calling to landlines in more than 60 countries for one year, unlimited Skype Wi-Fi (which Microsoft touts is available at over 2 million hot spots worldwide) for one year, and 200GB of free OneDrive storage for two years. None of these are huge on their own, especially given that they only last for a limited time, but they do make the price tag look slightly more appropriate. Everything else is the same: the Surface 2 with LTE comes with a 10.6-inch touchscreen (1920×1080 resolution), NVIDIA Tegra 4 processor, Windows 8.1 RT, Office 2013 RT, two-position kickstand, full-size USB 3.0 port, 3.5MP front camera, 5MP back camera, as well as compatibility for the optional Touch Cover and Type Cover. The only real difference in the specifications is the weight: the Surface 2 is 1.49 pounds while the LTE version is “less than 1.51” pounds. Prepay: Data Connect Pass 250MB ($15), Data Connect Pass 3GB ($30), and Data Connect Pass 5GB ($50). Postpay: Mobile Share $10 per month to share, Data Connect 250MB ($15), Data Connect 3GB ($30), and Data Connect 5GB ($50). International: Data Connect Month Pass 120MB ($30), Data Connect Month Pass 300MB ($60), and Data Connect Month Pass 800MB ($120). Microsoft first announced the Surface 2 and Surface Pro 2 back in September 2013. Later in the day, Panos Panay, Corporate Vice President of Microsoft Surface, revealed plans to release an LTE version in early 2014. In today’s announcement, Panay did say that 2014 will be “an exciting year for Surface” but wouldn’t go into any details. It’s safe to say the Surface 3 and Surface Pro 3 are probably in the works.